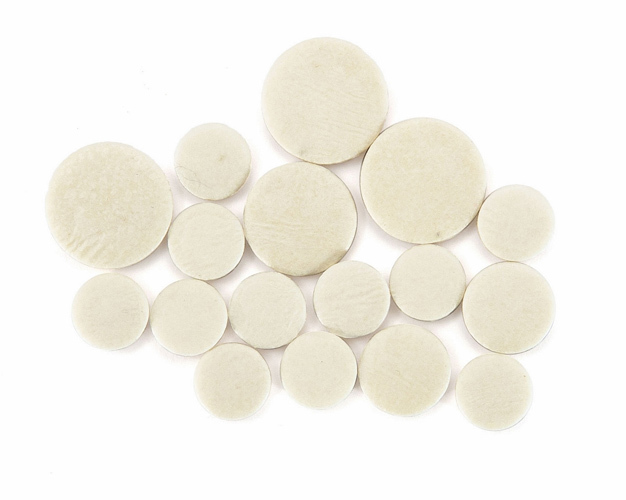 Standard quality skin clarinet pads designed for Buffet B12 or E11 fit. Please note: Whilst every effort has been made to ensure this pad set includes the correct sizes we would state that often manufacturers change pad sizing throughout the production of a model so there can be some differences. To be sure you get the exact pads for your model we advise individually measuring each pad cup and ordering the sizes singularly. Dawkes cannot accept any responsibility for any pad sizes in a set that do not fit for your particular model. We are unable to swap sizes or provide extra pads after the purchase.